This Wall Autowheel was attached to my restored 1914 Humber Ladies cycle, which I owned for several years. I sold the pair of them in July 2008. The Humber frame number is 537193 and the Wall engine number is 44929. The Ladies Humber was sympathetically restored, and rode well, but the Wall Autowheel engine was unrestored. Humber & Company Limited was founded by Thomas Humber at Beeston, Nottinghamshire, in 1869. 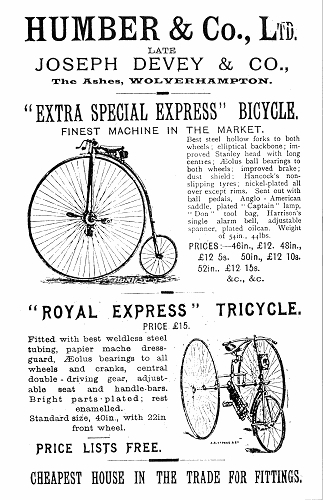 In 1887 the company was purchased by Mr. Joseph Horton of Birmingham who already owned Joseph Devey’s bicycle company in Wolverhampton. After Horton’s take over the company started building Humber machines at Devey’s old factory; Ashes Works, Pelham Street, Wolverhampton. Humber also had works in Great Brickkiln Street, Wolverhampton. In 1896 the company acquired a factory in Pountney Street, and also had showrooms in Queen Street. Humber later built a new works at Stoke in Coventry, and in 1900 production moved there. Ashes Works closed and remained empty until it was sold to Clyno in 1912, and the Pountney Street factory was later taken over by cycle makers Sharrett & Lisle. 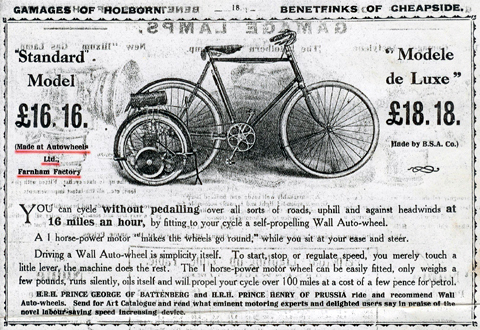 In 1877 Humber went into partnership with Marriott and Cooper. 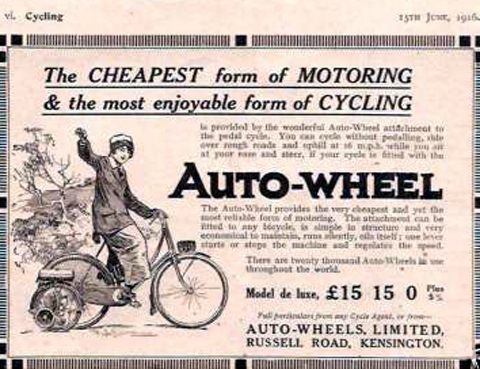 This was not to last, and Marriott and Cooper started producing and selling their own Humber bicycles. These were made in Wolverhampton by Dan Rudge. 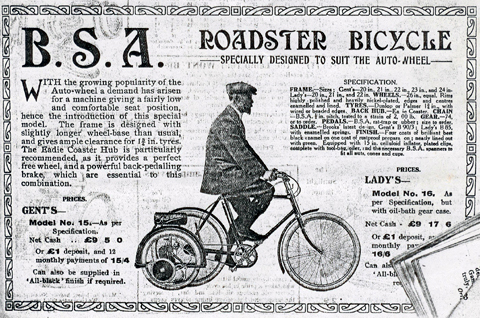 At this time Humber called its cycles ‘Genuine Humber’ bicycles to distinguish them from Marriott and Cooper’s products.